The world of barbecue competition can be a tricky one to navigate. 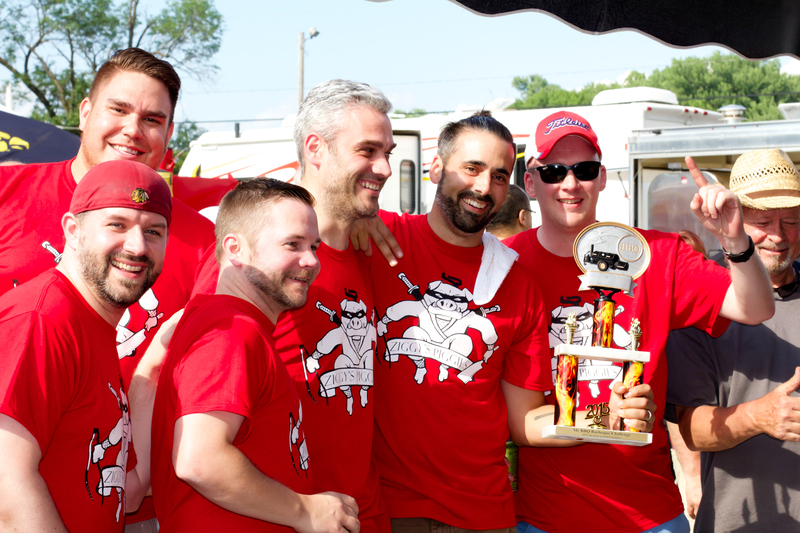 After honing his skills, presumably under cover of darkness to protect his secrets, Duncan Kramer, along with his cousin Lee Zeglin and a host of others finally entered the world of competitive barbecue this past weekend in Davenport, IA. 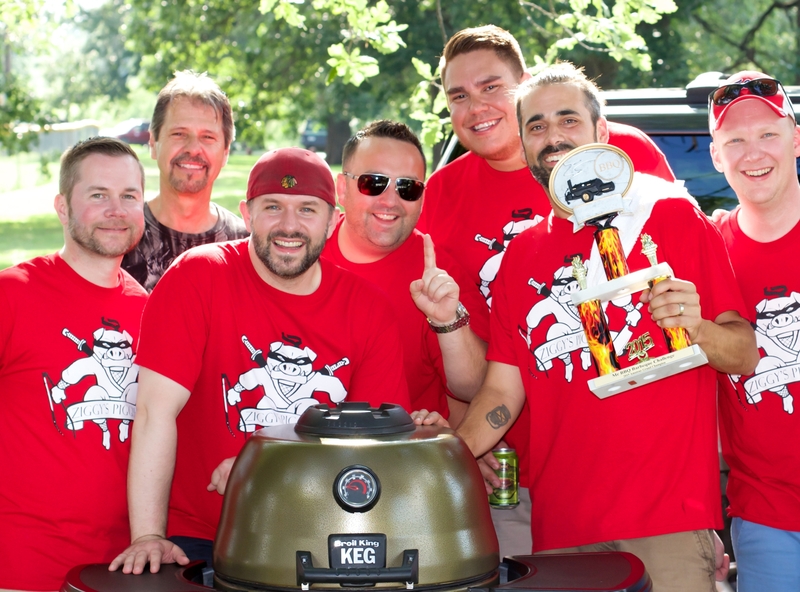 Ziggy’s Piggies took 1st overall in the amateur division cooking on Broil King Kegs. We caught up with Duncan, still on cloud nine, for a few words about the past weekend as well as how he got bitten by the BBQ bug. BK: What is your earliest memory of barbecue? 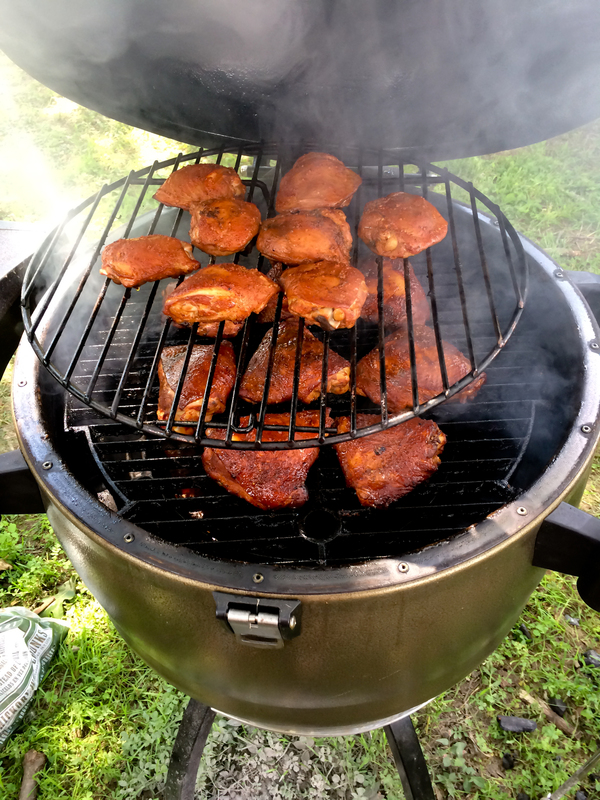 DK: My earliest memory of BBQ is growing up in Michigan and cooking around the fire in summers, on camping and boating vacations. Just because you’re ‘roughing it’ doesn’t mean you can’t eat well. BK: How did you find out about Broil King in the first place? DK: Zeglin’s discovered Broil King when we were looking for a high quality, high performance line of barbecues to provide for our customers. We researched grills for about two years before reaching out to Broil King. BK: What kind of test cooking did you do before the competition? DK: We have been using the Broil King Keg to do demos at our store, so the timing on the Keg was something we had already figured out. The recipe is one that I have been tweaking for years. Steve Arthur and Andy Tuerk had the lead on the ribs – they had more experience with them. BK: Describe the results and scoring process. DK: We were judged blind based on KCBS criteria: Taste, Tenderness, and Presentation. With all of those being considered, we were declared Grand Champions. BK: How deep did you dive into the competition info online – it’s easy to get bogged down with all the info avaialble. DK: Everyone has their own theories and practices on how they like to cook. We’re a passionate group and thought we liked what we do enough to put it to the test in competition. We didn’t do a ton of research, but we talked at length as a team to collaborate on wood choice, rub, etc. BK: What was your reaction when you heard your name called for Grand Champion? DK: The competition was local for us, so we had a lot of people down there hanging with us for our first competition. So the one thing I remember is just a huge roar when they called our name. We probably looked a little silly, but everyone was just so happy – It was really cool! BK: What’s next for Ziggy’s Piggies? DK: We definitely want to do more competitions, but it’s tough because we need to find locations that work. Everyone has families and some of the team lives out of town. It has to work out so we can all make it. It was a great team win!